It has been a while since I last blogged. Well, work and life have kept me busy. I’ve been more into TV shows than sitting at length and kicking back with a movie. This past week, I’ve been sick due to pneumonia – 5 days of no work, led to lying down in bed, watching movies and getting access back to my blog. The movie I picked, or rather was on ‘My List’ for a long time, was Flawless starring Demi Moore and Michael Cane. The movie is set in the 60s and is about a 30-something woman, Laura (Demi Moore) who has been dedicated to work and has had no time to live her life. Her frustration builds up, when she is passed up for promotion multiple times at the firm. The firm she works at is one of the largest distributors of diamonds called London Diamond Corporation. 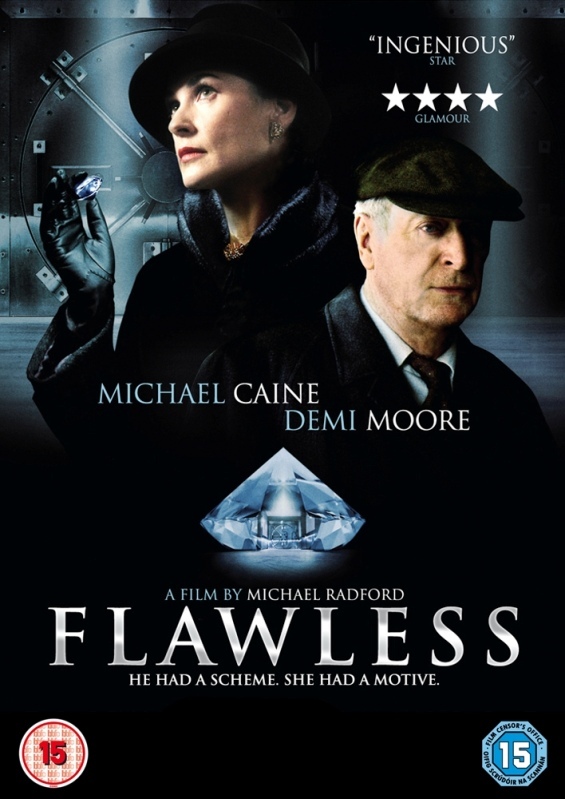 Her life changes when she is faced with a proposition from an almost about to retire janitor, Hobbs (Michael Cane). Will she throw away everything she has worked for and try to do something this daring? The movie is good and runs about 2 hours long with many predictable moments, so don’t look for overly twisted turns in the plot. It leaves me with the thought that, nothing much has changed since the 60s. While there are many more women managers, it is still hard to be a woman to be successful and have a life of her own. Something that is now changing, and I hope that 40 days down the line, when I read this post (or get back to my thought), things would have drastically improved. So today I was looking for an Indie thriller/action movie and I found Poolhall Junkies. An interesting movie especially for pool lovers (as the title suggests). 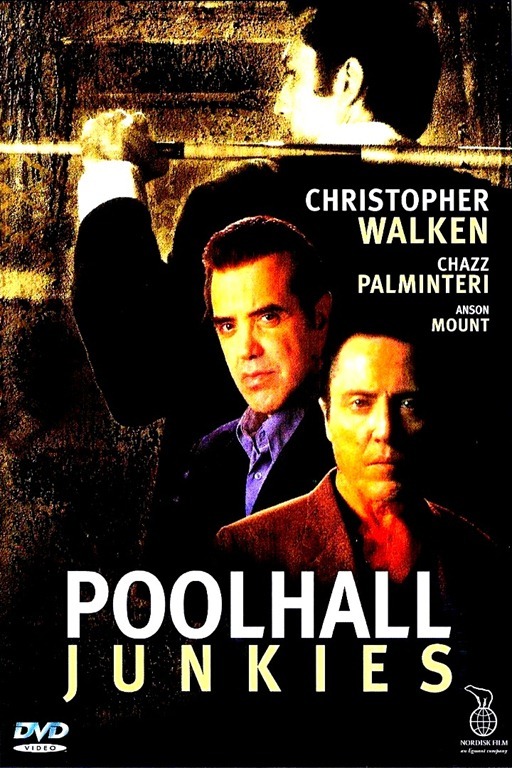 The movie is about a young and talented pool player, Johnny (Mars Callahan– an accomplished pool player in reality) who is adopted by Joe (Chazz Palminteri). Joe uses Johnny in his hustling games till Johnny finds out that Joe was holding back from his dream of becoming a pro. Johnny quits playing and starts living with his girlfriend Tara (Alison Eastwood). He then meets Mike (Christopher Walken– The Deer Hunter, Catch me if you can, to name a few) and wins him over with his talent. But Johnny is forced to quit by Tara until his brother Danny (Michael Rosenbaum) gets into trouble with Joe and Johnny is the only one who can save him. He has to beat a pro Brad (Rick Schroder) to get his revenge against Joe and bring his brother back. Actor/Writer/Director Mars Callahan has done a good job of not only sketching the character well, but also playing him perfectly. He manages to keep a poker face even when a lot is at stake going to show how adept he is at the game. The film does have a few rough edges. With those amazing shots on the table, I think this is worth a watch! The film has also has some great soundtracks and quick witted lines which kept me interested till the end. All the pool lovers out there, don’t miss out on this one as you are going to love it! My rating: 3.5/5 (I added an additional 0.5 after reading this and of course, I like a movie with with some authentic sporting action ).